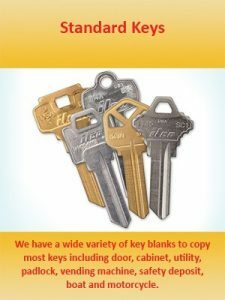 Need to make a spare key for your locker, home or vehicle? Drop by Bee Safe & Lock Inc in Pickering for an extra copy that will give you that extra peace of mind. You can get a duplicate key for your front door, your high-security lock system, and even your boat. Ready to give a family member their own keys to your car? We can make that happen at Bee Safe & Lock Inc. Since we have dozens of key blanks, we can cut spare keys for most makes and models of vehicles. Does your car key contain a transponder chip? We can program it using our advanced technology. When you move into a new place, you don’t how many previous owners have had keys to your property. In order to sleep well at night, it’s best to re-key your doors. 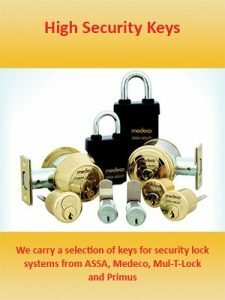 We’ll adjust the lock so only your new key can gain access to your home sweet home. Contact our mobile service and we’ll head over to help you protect your loved ones and belongings.